Google Play Books is one of the most useful application in play store to download and read book on smartphone or tablets. Recently, Google released the new updated of the Google Book apps, which allows you to upload your own books. Now you can upload you PDF and EPUB files on the application and read them on your smartphone or tablet. Not only this the new update come with lots of awesome features such as open books quicker and smoother, upload books from PC, emails and Downloads, Read any book in landscape view etc. 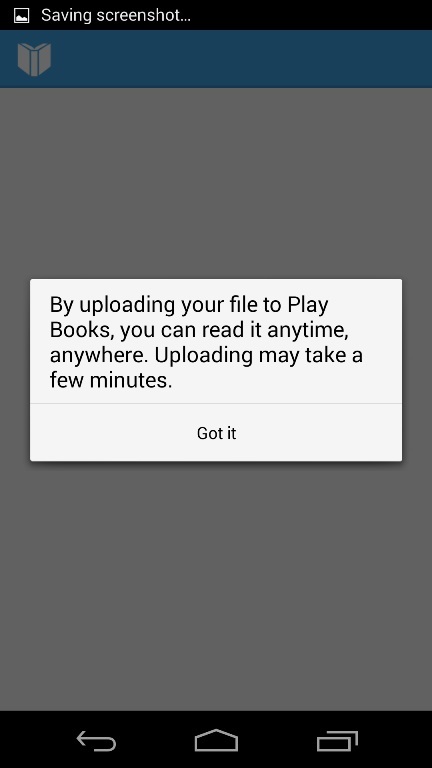 To upload your favorites books all you need a latest updated version of Google play books. If you haven’t received the update, you can download the latest version of the Google Play Books app here. 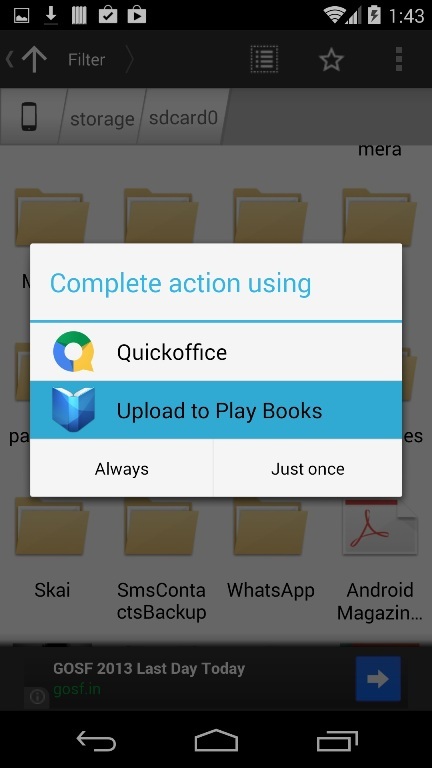 Once the application is installed on your device are ready to upload your PDF and EPUB Files on Google Play Books. 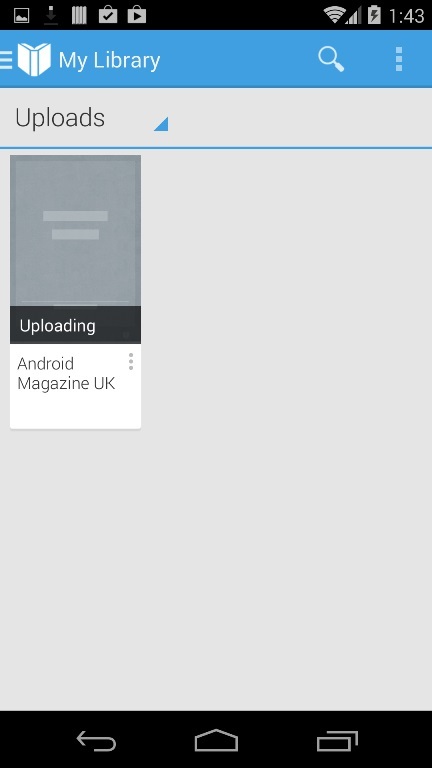 Download any of your favorite EPUB or PDF files on your device or move the file from your computer to the android. Now locate the downloaded or uploaded files on the File explore app. There are so many free file explorer are available on the Google play store, install any of them and locate the uploaded file on your device. Hit the Always or Just once button from the scree to start the uploading process. On the next screen you will see a new message that “You can read it anytime, anywhere”. Now the uploading process of your PDF and EPUB will start on your device, Once the uploading process will finished you will read the books anytime on your device. That’s it! 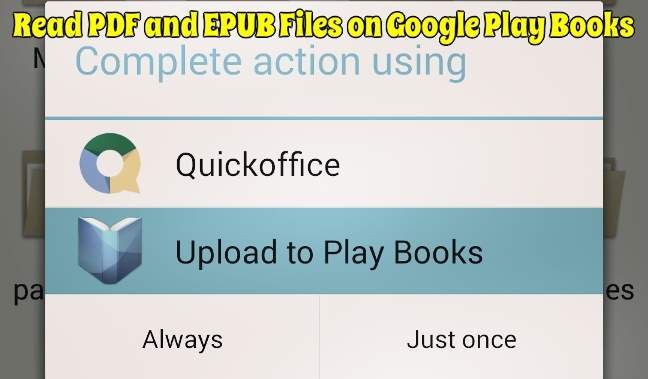 Now you can easily add more PDF and EPUB Files on your Google Play Books app and read it later.